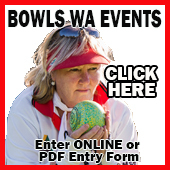 Priceline Nominated Three Bowl Pairs (Any Gender) Registration: 12.30pm for an on green start at 1.00pm Format: Two games of 13 ends Dress: Mufti Entry Fee: $20 per team Prizes: For First, Second and Third and Winners of the losers. Entries close: 5.30pm Friday There will be a sausage sizzle before the game To register: **Note: In the event of grass greens being closed, the first 16 names on the sign-up sheet will be eligible to play on the synthetic green. 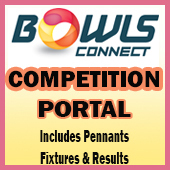 Priceline Nominated Three Bowl Pairs (Any Gender) Registration: 12.30pm for an on green start at 1.00pm Format: Two games of 13 ends Dress: Mufti Entry Fee: $20 per team Prizes: For First, Second and Third and Winners of the losers. Entries close: 5.30pm Friday There will be a sausage sizzle before the game. To register: **Note: In the event of grass greens being closed, the first 16 names on the sign-up sheet will be eligible to play on the synthetic green. The AGM will commence at 10.00 am. A BBQ lunch has been planned, followed by casual game of bowls for those wishing to play.